With Summer on the horizon, I was eager to bring some coastal living to my backyard (yes, I have a wild imagination). 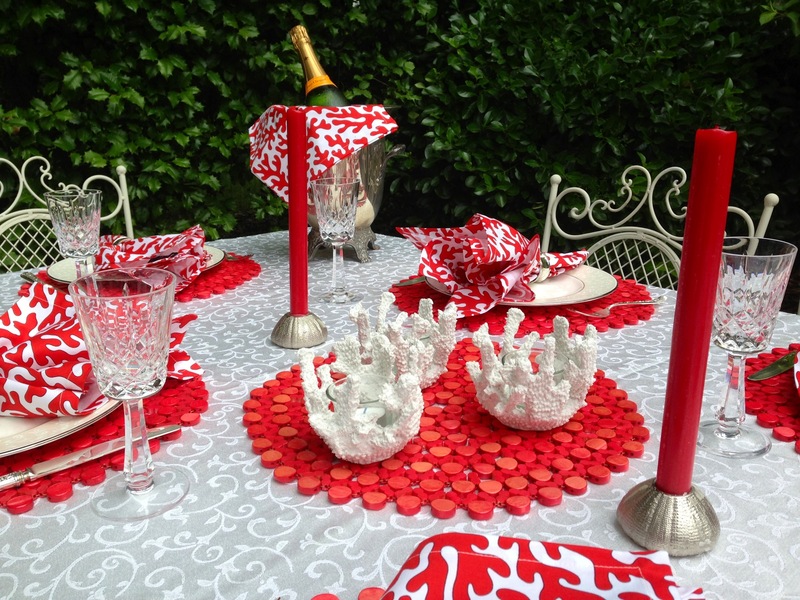 This table setting was inspired by a recent trip to Newport, Rhode Island. 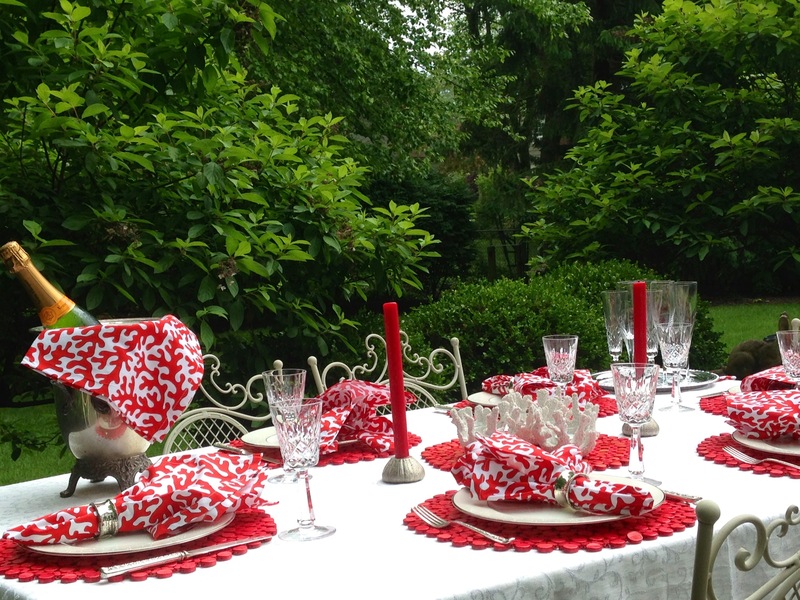 On my way home to NJ, I made a brief stop at one of my favorite home decor shops in Greenwich, CT called Hoagland’s where I found these gorgeous red coral print linens. 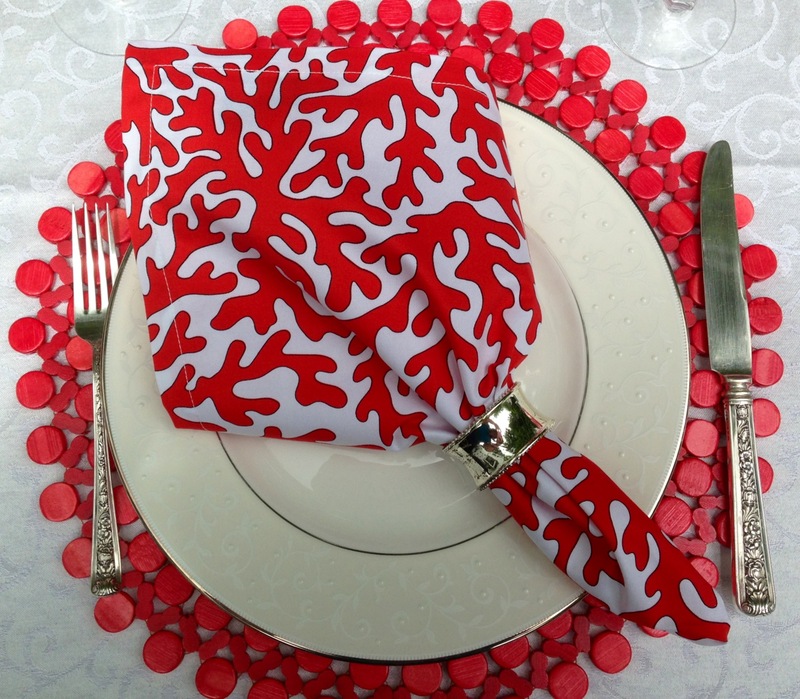 Hoagland’s carries these colorful sea-inspired table linens from Kim Seybert and these unique chargers in a variety of colors. 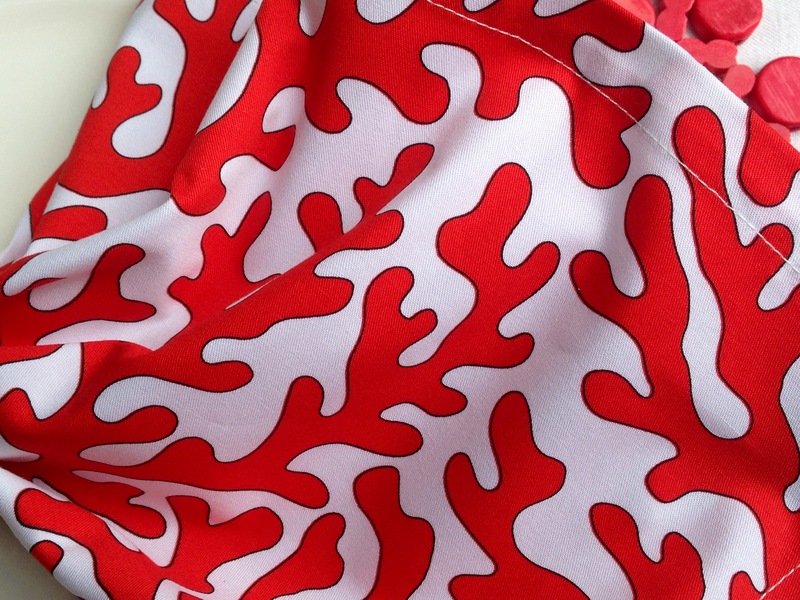 Kim Seybert linens can also be found at Barneys, Bergdorf Goodman, Saks Fifth Avenue, and Neiman Marcus. For contrast, I used my Lenox Opal Innocence china. 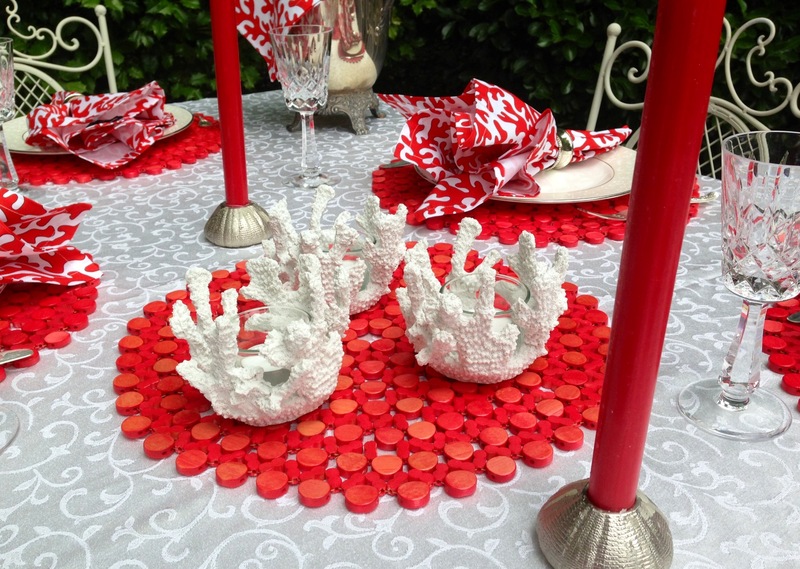 For the centerpiece I used a trio of white coral votives (also from Hoagland’s) and sea urchin candlesticks. The crystal stemware is Waterford from Think Twice Consignment in Gillette, NJ. I love serving Veuve in this stunning champagne pitcher, which was a gift from my brother and his girlfriend (Scully & Scully). GORGEOUS! 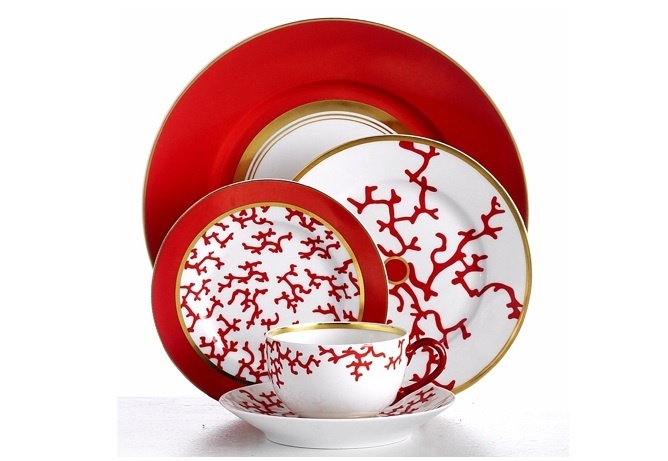 What a stunning table and your accessories are so unique. Love the tall pitcher! 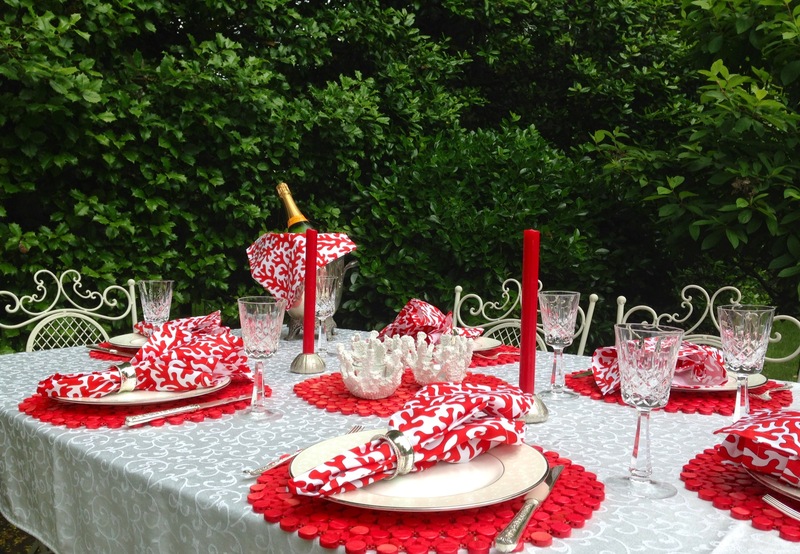 Of course the napkins and mats/chargers steal the show! 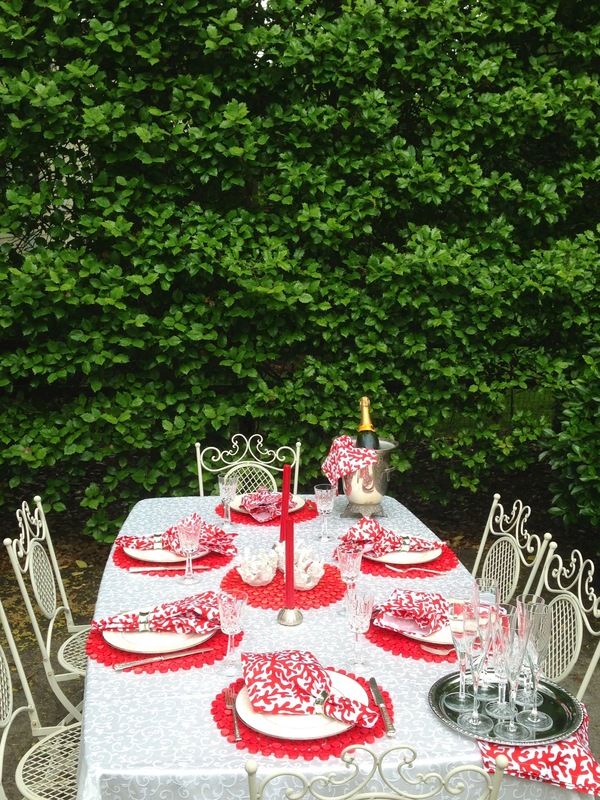 What a lovely setting, what time does the party start? 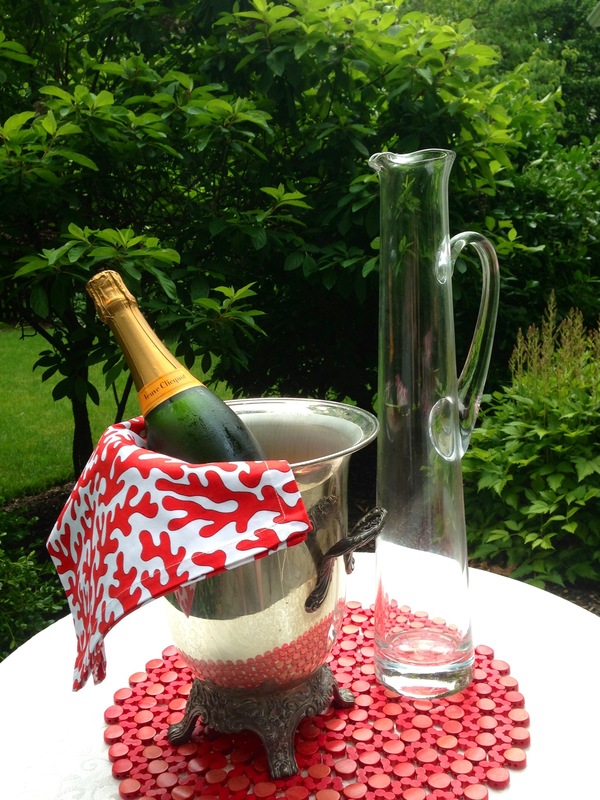 Love the champagne pitcher.I would be happy to come over n help you use it especially if you are serving my fav -Veuve! 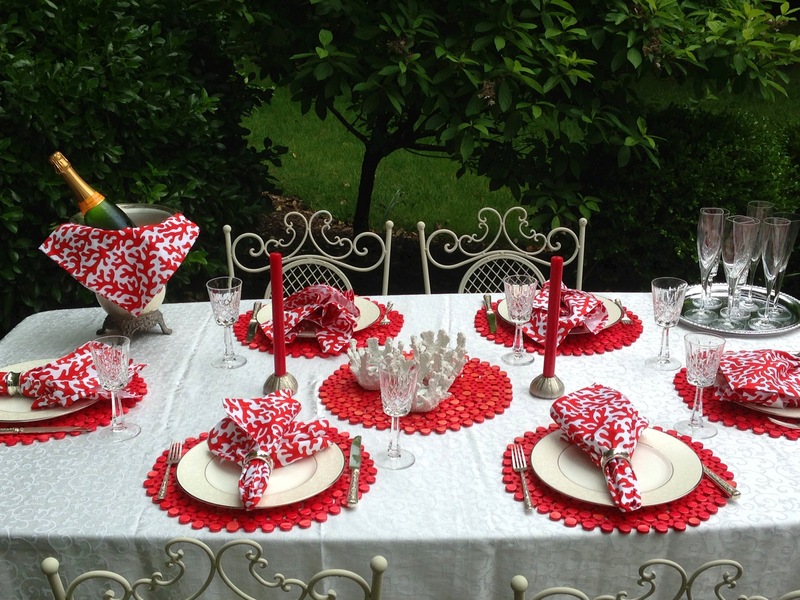 Gorgeous table each and every item!